Curious Cub is a brand of honey that entices consumers to try unique, unexpected flavors of natural honey. This sampler pack includes an engraved wood carrier and three flavors of honey: buckwheat, sage, and clover. 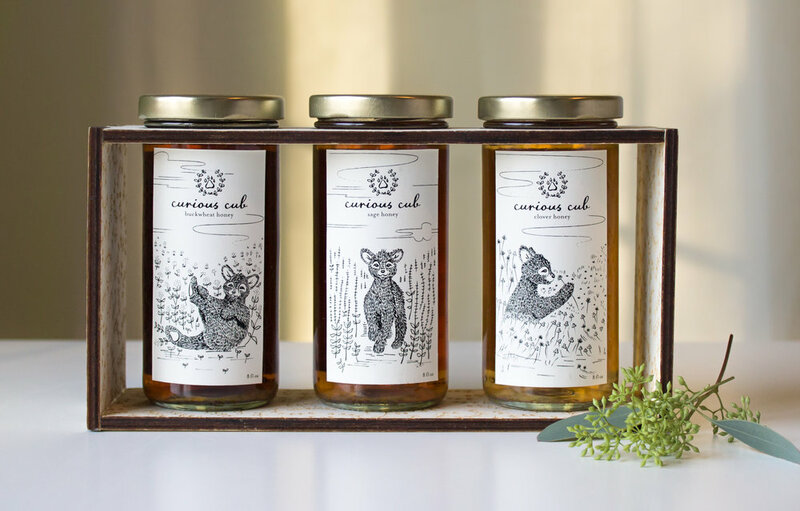 Each jar features a hand-drawn illustration of the “curious cub” playfully exploring a floral field of its corresponding flavor.